Welcome to CU-CAAM! We are a research clinic dedicated to improving the lives of people suffering from depression and cognitive impairment. 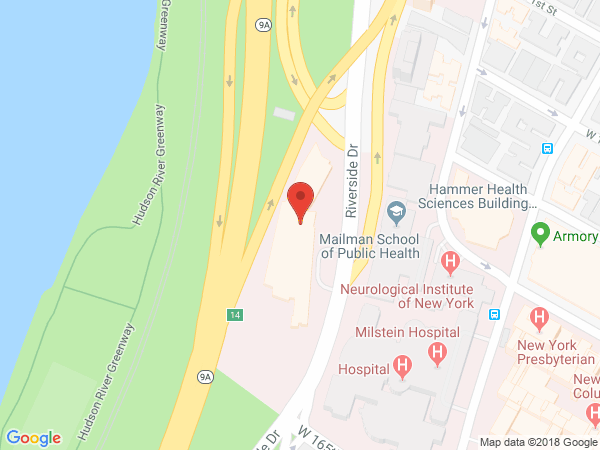 CU-CAAM is part of Columbia Psychiatry at Columbia University and is located in upper Manhattan. Since 1996, the Clinic for Aging, Anxiety, and Mood Disorders (CAAM), formerly the Adult and Late Life Depression Clinic, has been at the forefront of the study of depression and the treatment of patients who suffer from this illness. This clinic offers free and confidential out-patient treatment for eligible patients in clinical research studies of standard and new antidepressant medications as well as innovative approaches to the treatment of depression. These studies are funded by the National Institutes of Health, private foundations and the pharmaceutical industry. The studies cover a wide range of depressive illness including mild and severe depression, depression with atypical or classical symptoms, chronic forms of mild depression often referred to as dysthymia, and for patients in late life, depression with memory problems. The initial evaluation, including all laboratory work, is free and for eligible patients all care in research studies and study-related medication are also free. Patients who are evaluated at the clinic receive an extended diagnostic consultation with a psychiatrist and a research social worker/research nurse, plus compensation. Each patient has his or her own unique combination of depressive symptoms and medical conditions; thus, special care and time is taken to determine which research study, if any, is best suited to each patient. If a patient enters a research study, a team of psychiatrists, social workers, nurses, and study coordinators meet with the patient frequently, often on a weekly basis, to monitor the effectiveness and safety of treatment. Once the research study is completed, patients may continue their treatment at the clinic free of charge for a period of at least three months. Research studies at the clinic are focused on learning more about the psychobiology and treatment of depression through the adult life cycle. What is the best treatment for older people who have mild chronic depression? Are there novel antidepressant medications that may work as well but with fewer side effects than current treatments? Are there innovative treatments for patients who have been resistant to antidepressant medication? In older patients with depression and memory problems, are there treatment strategies that can effectively address both types of symptoms and result in good long-term outcomes? The Clinic for Aging, Anxiety, and Mood Disorders (CAAM) serves the Neurobiology and Therapeutics of Aging Division (NTAD). The guiding premise underlying research in this Division (led by Dr. Bret Rutherford) is that the phenomenology, pathophysiology, and long term trajectory of a given psychiatric disorder may significantly differ when the disorder occurs in an older adult compared to a younger adult. Aging-associated processes may cause, worsen, or influence the treatment responsivity of neuropsychiatric disorders by means of adverse effects on the structure and function of brain systems. NTAD investigators seek to understand the complex interplay between these aging-related processes and the pathophysiology underlying psychiatric disorders by studying (1) the etiology and pathophysiology of late life mental disorders, (2) the relationships between physiologic processes associated with aging and the development of late life neuropsychiatric disorders, and (3) the prevention and treatment of late life disorders using novel pharmacologic, somatic, or psychotherapeutic treatments. Division faculty utilize numerous interdisciplinary collaborations to develop a deeper understanding of the physiologic processes accompanying normal aging and distinguish them from the signs and symptoms observed in late life neuropsychiatric disorders. Of particular interest are aging-related processes that have protective effects on the structure and function of brain structures in order to promote healthy aging across the lifespan.